Does the Brand Matter when it comes to Instapot? 3. Messing up the Instant Pot Recipes? 4. The Cooking Time – A lie? 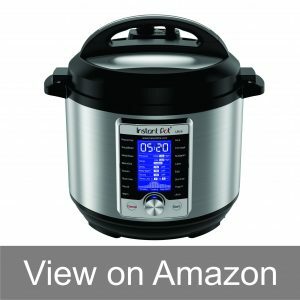 Looking for the best Instant pot 2019 – 2018? I hope our guide below will help you choose the right size and model for your needs. 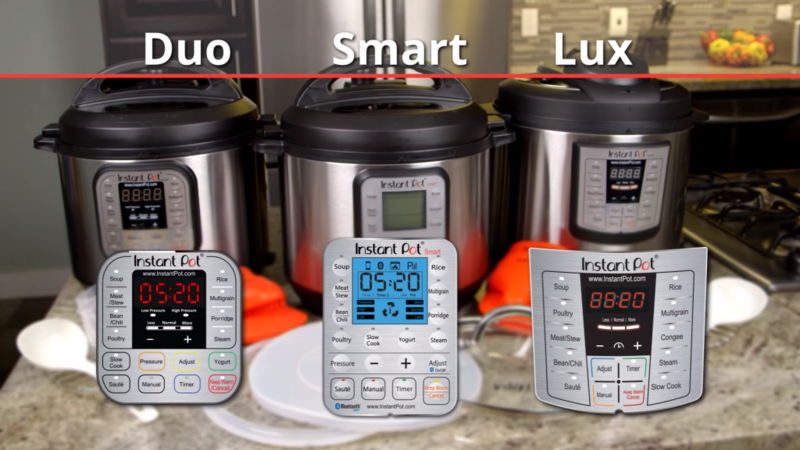 We have ranked all the Instant pot models in our comparison chart (table) based on their features, price and use-friendliness. We made our rankings based on rigorous testing and cooking results. So, without any further ado, let’s get started with our Instant pot review. I hope you’ll like it and don’t forget to leave your feedback in our comments section. Just about everyone is in a rush these days thanks to life’s demands and the fact that there are just so many hours in the day—no matter how clever and creative you are at filling them. But if you rely on your freezer, fast food and not-so-fast food places to provide your sustenance, limiting your family’s fare to pizza, burgers and burritos, better keep your wallet open and your taste buds on automatic pilot because made-from-scratch meals will always win out. There is a solution that delivers on taste, keeps your kitchen from being cluttered and could even earn you a reputation for being a top-notch cook: Get your hands on a slow cooker. These appliances are so versatile and easy-to-use that owners swear they can’t recall what life was like without one. Instant Pots (the official name of the brand) have several aliases: crock pots, instapots, slow cookers and pressure cookers. But an instapot by any name serves the same purpose, say the folks at Kitchn(. )com who took time to compare and contrast terms. Of course, you don’t care what it’s called as long as it delivers a nutritious meal at day’s end when you’re too weary to think about meal prep. Multi-Use programmable pressure cooker: 7-in-1, Pressure Cooker, Slow Cooker, Rice Cooker, Steamer, Sauté, Yogurt Marker and Warmer, prepares dishes up to 70% faster. Multi-Use programmable pressure cooker: 10-in-1, Pressure Cooker, Slow Cooker, Rice/Porridge Cooker, Cake Maker, Yogurt Maker, Saute/Searing, Steamer, Warmer and Sterilizer. Multi-Use programmable pressure cooker: 7-in-1, Pressure Cooker, Slow Cooker, Rice/Porridge Cooker, Cake Maker, Yogurt Maker, Saute/Searing, Steamer, Warmer and Sterilizer. Regale friends and family with your knowledge of slow cooker history by dropping the name Irving Naxon next time you want to look like a Brainiac. Naxon’s one-pot cooker concept was filed with the U.S. Patent and Trademark Office in 1936 and it remains the forerunner of this type of appliance. Naxon’s thought processes were simple: His grandmother wanted to be able to replicate one-pot meals she prepared for family members using a kettle and open fire back in the family’s homeland. Her grandson used his sharp engineering mind to design the Naxon Beanery brand hot pot more than 80 years ago. 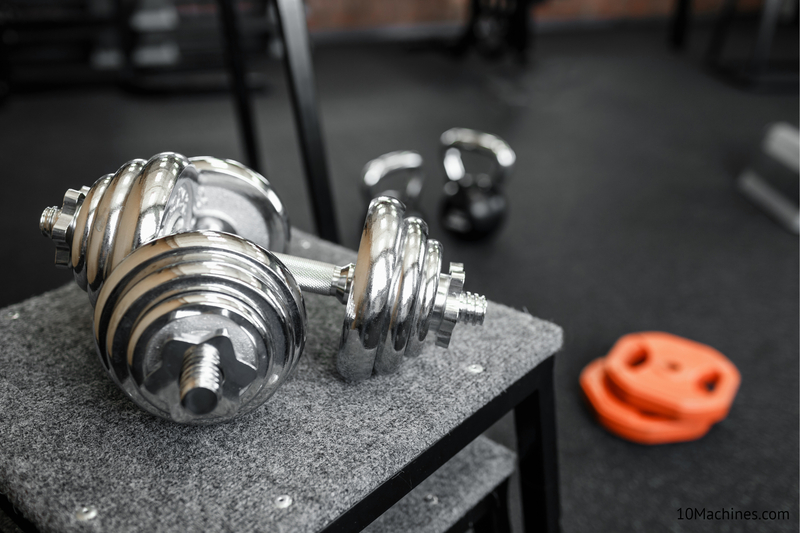 Naxon’s hot seller caught the attention of Wisconsin-based Rival Manufacturing Company where marketers reinvented the shape and added features. They renamed the appliance the Crock-Pot. But Instapots didn’t remain the sole dominion of Rival as appliance makers jumped on the bandwagon. Exterior designs were streamlined. Mechanical timers were added to monitor cooking. Within housings, temperature sensors tracked progress so units could turn themselves off when heat or pressure thresholds were reached. Like all household products beloved by owners, instapots have become so popular over time, they have achieved “must-have” status on holiday wish lists and bridal registries. That’s what happens when efficiency meets necessity! Plenty of appliance seekers base their buying decisions on price and let the chips fall where they may in terms of performance and longevity. But if you happen to prefer a dependable brand because it satisfies your desires, budget and needs, sticking with one makes all of the sense in the world. The Instapot brand has been kicking around since 1991 in the U.S., thus 25+ years of quality manufacturing and service count for a lot. Electric pots pioneered by this company have undergone three generations of reinvention over time. Generation #1 describes the company’s start-up and earliest proprietary designs and innovations. For Instapot, this was the era of the slow cooker that featured a mechanical timing mechanism. User-friendly controls introduced newcomers to the pleasures and convenience of instant cook pots, and while the idea of delayed-start features were still on the horizon, you can be sure they were on the drawing board at this forward-thinking appliance maker. Generation #2 brought Instapot into the realm of digitally-controlled appliances. Cooks loved new features like start-time delays so dishes could be prepared early but the cook didn’t have to be on hand to hit the start button thanks to new and improved electronic sensors. While safety was always important to Instapot, incidents of lid-pressure accidents across the spectrum of slow cooker brands became a concern. The company’s solution? Engineering the electronic workings so the appliance couldn’t be started until the lid was fully locked-down. Generation #3 marks the latest iteration of Instapot’s evolutionary path that has taken products into the arena of smart programming. Thanks to this technology, the Instapot evolved into the solution for cooks fed up with owning a dozen appliances. Complexity became the brand’s engineering by-word as new models of Instapots controlled by microprocessors enabled these appliances to be controlled by simply depressing a button. Curious about how many appliances today’s models of Instapots can eliminate from kitchens? Our comparison graph introduces you to the many talents of each of the styles included in this review. 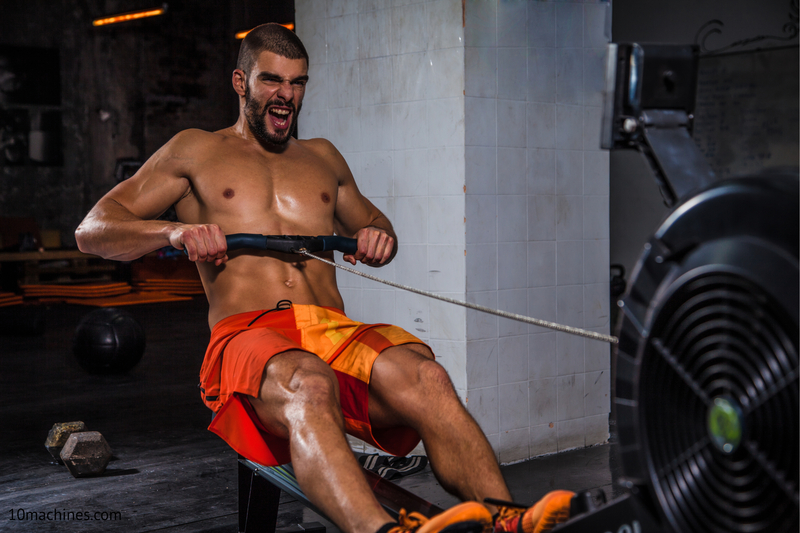 Ready to Meet 5 of the Hottest INSTAPOTS on Today’s Market? This sophisticated, high-capacity Instapot offers to prepare your dishes around 70-percent faster than usual, so feel free to take this kitchen tool at its word! Engineers have built 14 smart programs into this appliance so you retain a lot of control not found in comparable instapot brands. Pressure cook, simmer, sauté and create, whether it’s making your own yogurt, preparing perfect rice or baking an elegant desert. The sturdy 18/8 stainless steel cooking chamber offers you the healthiest interior environment of all because it’s fabricated of 304 food grade stainless. Forget about the chemical coatings some manufacturers use to line cooker interiors because this Instapot doesn’t go there! Instead, expect even heat distribution courtesy of the unit’s 3-ply bottom and because this 7-in-1 appliance seals so tightly, neither aromas nor nutrients can escape. At the heart of the Instant Pot DUO80 lies a microprocessor that’s so state-of-the-art, making a cooking mistake is practically impossible. This nerve center keeps tabs on time, heat intensity, pressure and temperature control so effortlessly, it’s self-adjusting during the cooking process. This Duo programmable pressure cooker can even serve you as a canning mechanism if you happen to like to make your own pickles and prepare in-season fruits and veggies for future consumption. In fact, cooks can accomplish two methods of canning, using either boiling water or pressurized canning. If you’re interested, refer to the U.S. Department of Agriculture’s Complete Guide to Home Canning on the University of Georgia website (http://nchfp.uga.edu/publications/publications_usda.html) to jump in. In addition to being efficient, time and space saving, you couldn’t ask for a quieter appliance. There’s almost no noise generated during the long cooking process and you can forget about steam leaks because this Instapot’s signature lid stays tight. Further, it won’t increase the temperature in your kitchen if you like to keep your windows open rather than your air conditioning humming. The slim body design features lid holders for both left- and right-handed users, so you might say that this is an equal-opportunity appliance. And if you have kids, you don’t have to worry about finger prints because this brushed stainless steel vessel won’t leave imprints on the appliance’s exterior. 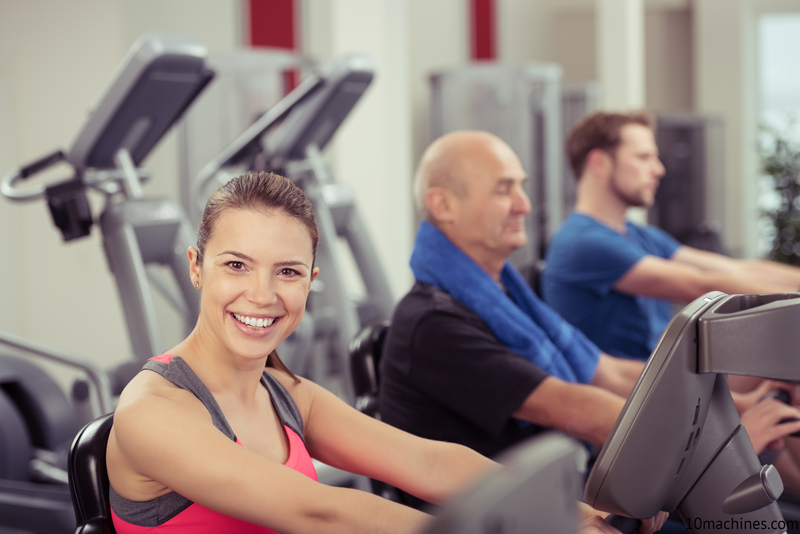 Worry about safety—-both yours and family members? Worry no more. Both UL and ULC authorities have tested this cooking pot under a variety of circumstances that included some of the most common instapot cooking errors known to man. Both granted certifications only after the unit’s 10 safety mechanisms were verified and found compliant. Great accessory collection is included; no need to buy more utensils. Industrial grade stainless steel means years of service and exterior integrity. Programming features are efficient, reliable and easy—-even for novices. Safety features and certifications reassure even skittish cooks. 3-ply bottom stainless steel instapot ensures consistent cooking from start to finish. This pot may not deliver the “instant” meals you anticipate. Proper operation of this appliance will depend upon your ability to follow directions. Electrical malfunctions have been reported by purchasers. Handle cautiously; burns have been sustained by careless cooks. This 8-quart Instapot hogs cabinet or counter-top space. 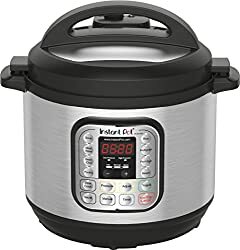 Click here to see the price of the Instant Pot DUO80 on Amazon. Need a programmable pressure cooker/instapot that’s more size appropriate since you’re not feeding several regiments of an army? Set your radar on this 6- quart Instapot fabricated of food grade stainless steel and ready to prepare your favorite dishes via this appliance’s 10 smart programs. You can warm, steam, sauté, cook and pressure cook a variety of recipes and this unit even masters hard-to-perfect foods like rice, porridge and cereals that have the potential to wind up over or under cooked. Bake a cake with a single stroke of the finger or use the egg program to get breakfast on the table fast. The pressure cooker feature uses proprietary 3rd generation technology to slow cook foods for up to 4 hours and since there’s a 24-hour delay start mechanism, if you want to set this pot the night before your meal is to be cooked, have at it! Once your dishes are cooked, you won’t have to dash home or worry about overcooking dilemmas because food automatically stays warm up to 10 hours and the Sauté & Slow Cook feature give you three temperature ranges. Like pricier slow cookers made by Instapot, you get an inner cooking pot made of the highest grade of food-quality stainless steel (18/8) plus the brand’s signature 3-ply bottom that distributes heat so uniformly, you couldn’t wind up with an inconsistently-cooked meal if you tried. This Instapot model is so smart, even the volume of food you’re cooking is factored into the equation, so cooks can count on proper food texture and consistency once the meal has finished its cook time. But perhaps you’ve been reticent to buy a slow cooker because you’ve heard rumors that they’re hard to keep clean–especially when there’s no chemical coating lining the interior. Forget about that. Pour a couple of cups of water to the unit, set it on full pressure mode and the job’s done. Release the lid, wipe out the interior and your unpaid chef is ready to cook your next meal immediately if not sooner. Love anything that offers you one button control? This is your lucky find and since the stainless steel brushed exterior also happens to be fingerprint resistant, even a crack CSI team might not be able to prove that you are the cook behind the yummy meal brewing inside your LUX 60. Instapot prides itself on more than just a quality kitchen appliance: engineers made sure that safety features were prioritized, seeking both UL and ULC-certifications to cover the 10 safety mechanisms unique to this brand. A full accessory pack comes standard with this Instapot so you won’t have to shop for a steam rack, utensils, a recipe book, time table and instruction manual. They’re all in the box! Does the job of 7 household appliances quickly and efficiently. 3-ply inner pot layering and cook mechanism proficiently distribute heat. Fast, savory and sweet cooking results plus delay-time capability. Prepare up to 6 quarts of food to satisfy even large family gatherings. The pressure cooker feature requires careful handling to avoid burns. Could malfunction within a year per dissatisfied owners. Slow cooker function may stop working for no reason. Lid could jam shut between opened/closed positions. Potential for losing pressurization while operating isn’t to be ignored. Click here to see the price of the Instant Pot LUX60 on Amazon. Best Way to Define: This is the smartphone of cooking appliances! Replaces how many appliances? According to the company, a million. If you dream of an appliance that’s feisty, top-of-the-line and you’re all about Bluetooth connectivity, meet your new kitchen savior, the Instant Pot 7-in-1 Smart pressure cooker that uses graphic interface to control and monitor the progress of your culinary adventures. Fabricated with Instapot’s hallmark food grade 304-strength stainless steel, purists can rely on a pristine vessel interior because the company never coats the inner cooking pot with chemical coatings. Instead, you get pristine 18/8 stainless steel and 3-ply lining to distribute heat efficiently and uniformly. Love the power of programming? Better sit down: you get 14 Smart Programs with this amazing cooking vessel so even if you’ve had little success in the past when you ventured into slow cooking, this 6-quart dynamo is going to rectify that from the moment you use it for the first time. That Bluetooth interface isn’t science fiction. Use apps to drive your cooking efforts via those graphics so you couldn’t mistake savory meat stew prep from a veggie chili recipe if you tried. What do cooks love most about this model? Their ability to write cooking procedures in recipe scripts so you can do more than just execute those recipes, you can also share them with anyone you like thanks to state-of-the-art connectivity. The embedded, proprietary microprocessor that runs this Instapot like a perfectly-timed railway system is sensitive to myriad commands that allow the cook to maintain complete control over the cooking process. How? As ingredients reach each stage, sensors monitor progression, adjusting pressure, time, heat intensity and cooking duration accordingly. Mistake proof? Rely on it. A dual-pressure (low/high) mechanism delivers 3 temperature ranges that include sauté, slow cook and “automatic keep warm” transitions as insurance so foods are cooked on settings that deliver perfect results. Get a bonus in every box: a suite of tools to use with your Instapot so there’s no need to go out and equip your kitchen with additional accessories, including a custom-sized steamer insert. Like all Instapots in this brand’s library, efficiencies come free with purchase! Enjoy time and energy savings that can amount to 70-percent of power usage as a result of replacing 7 appliances with one. And you couldn’t ask for better safety assurances than those conferred by UL, the nation’s top dog when it comes to compliance. Innovative Bluetooth/graphics make operation a breeze. One-button programmed cooking saves time and effort. Impressive flavors and textures, even when complicated recipes are cooked. This unit has a better pressure cooking track record than most. Remote time monitoring a bonus not lost on techie-cooks. Pot overheating could impact both cook time and results. Despite meeting safety standards, contents could explode without warning. Bluetooth-enabled features may not be worth this model’s higher price. Base could melt in extreme circumstances. Potential Bluetooth interface issues for Android device owners. 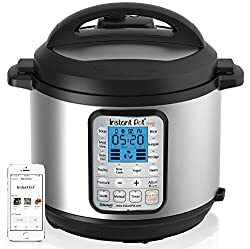 Click here to see the price of the Instant Pot SMART on Amazon. You don’t have to pay top dollar to own the Instapot brand and enjoy myriad features if you opt for this 9-in-1 multi-functional pressure cooker. This Duo Plus model is new for 2017, so it’s got the latest and greatest features, including an attractive blue LCD screen that’s the hallmark of the brand’s newer and more expensive units. Beneath the blue panel, surprises await. Improved usability and custom features makes it possible for the Instant Pot Duo to morph itself into everything from a cake baker to a yogurt maker; rice cooker to a fully-functioning sterilizer. Feel free to go through your kitchen cabinets and donate everything inside to relatives or charities, because this multi-functional kitchen aid does it all. If you’ve complained in the past about the fact that that your slow cooker takes its name literally, welcome to the Instapot world where you’ll produce meals up to 70-percent faster thanks to the technology that drives this appliance. Press one button to gain access to 15 microprocessor-controlled programs. 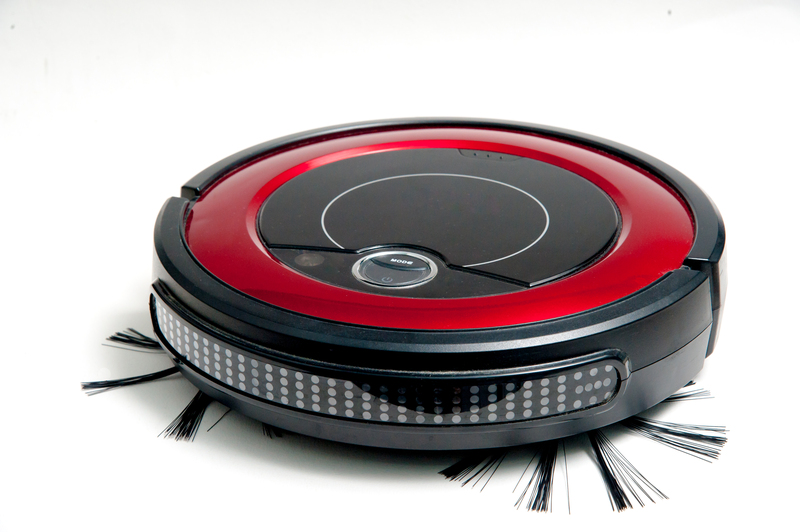 Don’t be surprised if this handy appliance reminds you of your smartphone in so many ways. Recipe success is virtually guaranteed thanks to this Instapot because as the maker says, it takes the guesswork out of cooking, so your reputation couldn’t suffer if you tried! Part of the reason your foods cook so uniformly and quickly has to do with the material used to craft this product: it’s fabricated of 18/8-gauge food grade 304 stainless steel (this includes the lid). The efficient 3-ply bottom distributes heat uniformly throughout the cooking process and when you’re done cooking, this Instapot does what competitors rarely do: you can throw it into the dishwasher to clean it. Manufactured with 10 safety mechanisms, this 9-in-1 appliance replacement tool has been certified by UL and since it’s been deemed energy efficient, you’re not going to drive your power bills up, even if you use it every day. Further, since there are no steam releases during the preparation process, look forward to all of the yummy aromas and none of the steam-related safety hazards. By the way, this Instapot comes with a full supply of the accessories you need to turn out the dishes you crave, so you needn’t worry about spending extra cash to plus up your utensil inventory–nor are you required to purchase a separate recipe book. Substitutes for 9 other appliances. Saves enormous amounts of counter or cabinet space. Manufactured with extra safety features and certified by UL. Electronically programmed to deliver one-button cooking. Instapot can even help reduce your power bills! If too many functions frustrate you, you could feel overwhelmed. Foods may adhere to the pot’s interior despite contrary claims. May leak steam if the lid isn’t properly secured. Rubber sealing gasket could retain odors despite repeated washing. Not everyone found the Instapot instruction manual to be helpful or easy to interpret. 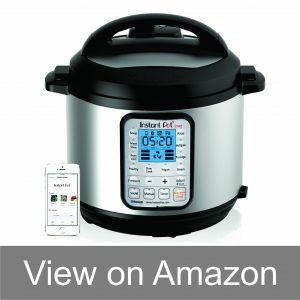 Click here to see the price of the Instant Pot DUO Plus 60 on Amazon. That stated, this 10-in-one stand-in for everything in your kitchen cabinets isn’t the most expansive model in this review, so the Ultra may meet all of your criteria for the perfect slow cooker. If you dislike everything about complexity when it comes to operation, this Instapot Ultra has your name written all over it: turn a central dial and press a button to choose the program that best suits your recipe and then you can tweak the setting to customize and adjust the cooking process to your specific needs. The 10 kitchen appliances you’ll want to replace for any number of reasons include the usual suspects like cake baker, egg cooker, steamer, warmer and rice cooker. Because there are so many new features built into the Ultra, you’ll prepare each dish faster and more efficiently. Consult the free recipe book to open a window to instant cooker heaven. Adjust the altitude if you’re baking using settings appreciated by people living at higher elevations. Set the cooking indicator to the precise degree. Use the steam release reset button if you’re concerned about safety. No worries about spending extra money to purchase utensils for the Duo, either. Even the steam rack is included so you can start cooking as soon as you take your cooker out of the box. 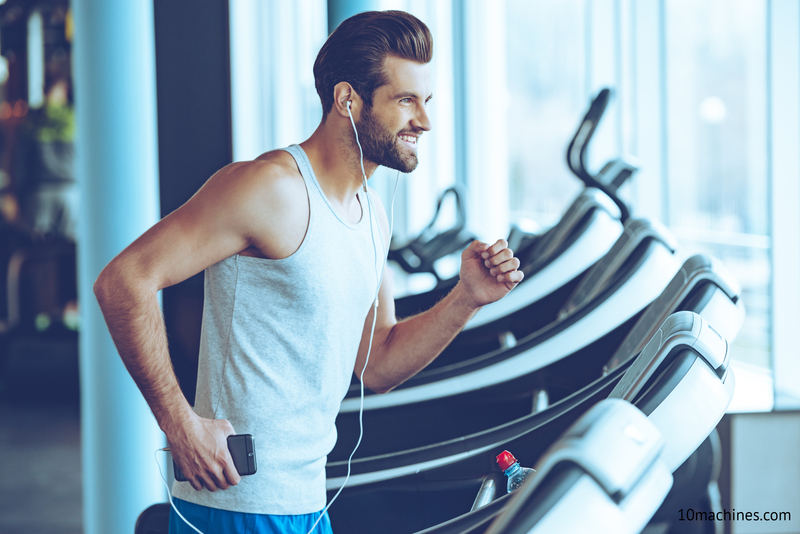 Custom programming has never been this easy nor as much fun because the microprocessor that drives this all-purpose appliance acts as a monitor from the moment you close the lid until the moment you open it again, keeping tabs on heat intensity, temperature and pressure. Even the number of safety features programmed into the Duo exceeds those of comparable models: there are 11 in all so you can dismiss any concerns you may have about safety. Each has been tested by UL and found compliant–especially the steam re-set button. Fabricated of food grade 304 (18/8 gauge) stainless steel, you can look forward to a happy relationship with your DUO for years to come knowing that no safety or use detail has been overlooked by a company eager to be your first choice in Instapots! No dodging steam or worrying about hazards with this sophisticated cooker. The Duo substitutes for 10 appliances; does it get any better? Affordably priced despite industrial-grade materials and so many features. All 11 safety features were double-checked for UL certification. So easy to operate, even non-technical cooks can turn out complex dishes. Larger Instant pot size may not suit your cooking area, needs or storage capacity. Requires orientation before use to avoid accidents and recipe malfunctions. Instapot instructions may not be sufficiently easy to understand for all users. Don’t place under kitchen cabinets while in use or risk steam damage. Temperature regulation issues have been reported by owners. 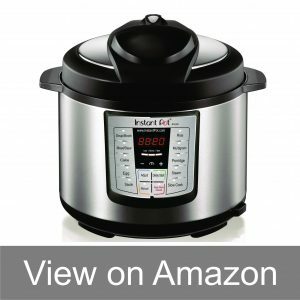 Click here to see the price of the Instant Pot Ultra on Amazon. Yes, that’s kind of negative point as the upfront price of owning an Instant pot is slightly high. I saw some negative reviews about the price. However, I think it is still very reasonable and affordable for everyone. For example, the most expensive model is the Instant Pot Ultra (10-in-1), which comes under $200 range. If you want to check out the cheapest option, it is the Instant Pot LUX which is still less than 60 bucks. The best thing about buying an Instant pot is that everybody can afford it as it has a suitable price-range for everyone. If you need the most advanced features, then it’s obvious that you need to pay more money for it. The instant pot is extremely reliable and comes with a great warranty for your best customer experience. You get what you pay for! It does provide great value for money. In the past, I’ve used slow pressure cookers and crockpots. To be honest, when I ordered the Insta pot, I was sort of afraid to learn the new functions. That’s the reason, I didn’t give away my old kitchen appliances promptly. However, soon I got myself familiar with all the functions and modes of my new Instant pot. It was pretty exciting to learn the new stuff and implement it successfully while using different Instant pot recipes. The instant pot is easy to use as compared to other similar devices like crockpots and Cosori. I am saying this because some of my friend checked out my insta pot and she really liked its dynamic functions. That being said, I highly recommend to checkout the Instant pot instruction manual that comes along with the device. Additionally, you can watch some Instant pot videos on YouTube to get familiar with your new device. We also keep publishing tips and articles about Instant pot in our blog section here, so you can always keep yourself updated with the new recipes, tips and accessories. While making my decision to buy the Instapot last year, I was a bit hesitant because of any likely chance to mess up the Insta pot recipes. I was also afraid because I thought that few recipes will be available to use for my instapot. However, I proved myself wrong when I started to search for “Instant pot recipes” on Google. There are plenty of recipes available and kitchen bloggers keep on adding more on daily basis. I also created few random recipes myself which I’ll share on this blog at some other time. In order to save my time, I also ordered few Instant pot cookbooks from Amazon. My personal favourite and best seller comes from the author “Laurel Randolph”. It contains 100 recipes that you can try. I only cooked 14 recipes from the book so far! 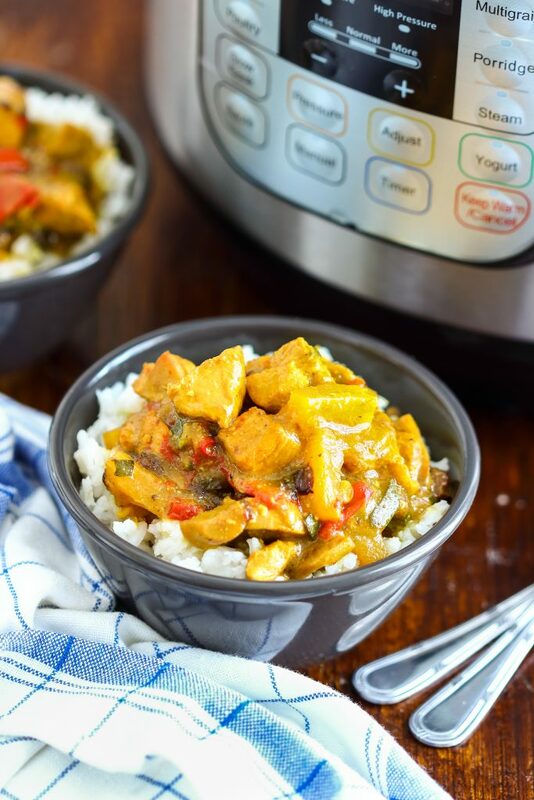 With instant pot, you don’t need to worry about messing up any recipe. Everything gets done right at the end. Believe me, I have done various experiments with the recipes. At the end, everything turns out to be yummy and delicious. This is something I was really worried about. During my research I realized that cooking times can be a deceptive. If some recipe is meant to be done in 15 minutes, it can take extra time to pressurize and depressurize the cooker. So, the actual time to put ready to eat meal on the table can be 20 minutes. However, you can learn these things with passage of time and improve your learning curve. So far, it’s not a problem for me and I love my Instant pot. Why you should buy an Instant Pot? Watch the video below. Why do you really need an Instapot? Imagine what it would be like to chuck them all out and turn to a single appliance for all of your cooking needs that gives you slow cook capabilities to cut your prep and cook time down substantively. Instapot owners prep ingredients the night before, toss everything into the pot with liquid, turn it on in the morning, and by the time they get home from work, the succulent smell of a prepared meal awaits. Not just any prepared meal, by the way. Exotic recipes like bouillabaisse, chowders, ragouts, wine-infused chicken stews, Mexican cuisine and any dish that benefits from the time it takes to properly cook and marry ingredients (including lasagna and other types of casserole dishes) can be made in an instapot. And you thought these appliances only made chili! Dare we add desserts? “Southern Living” magazine reprinted a recipe for Instapot Double Chocolate Cheesecake that could send you scurrying to your favorite appliance retailer right now: http://www.southernliving.com/recipes/instant-pot-double-chocolate-cheesecake-recipe. We can see you shaking your head and wondering how to choose from these five smart Instapot models. 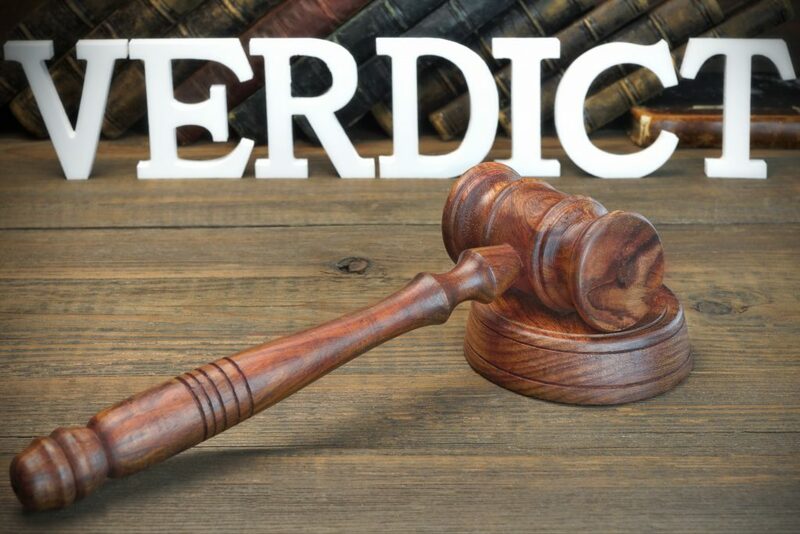 After all, the manufacturer has gone all out to improve what wasn’t working in earlier versions and added features brand fans requested, so we suggest using the following criteria to make your decision. 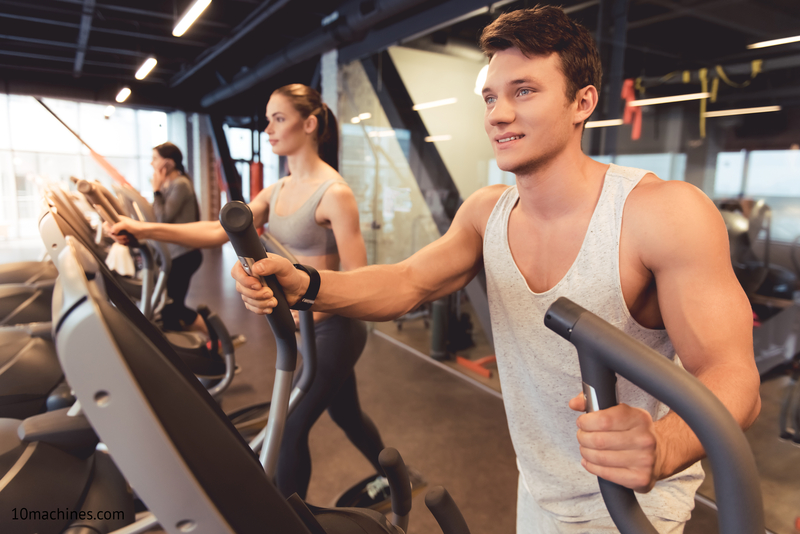 The Instapots featured above range from around $80 to approximately $160, so as you can see, there’s a model to fit most household budgets that won’t require families to liquidate college funds. Of course size matters! Most units profiled here produce 6 quarts of food. But the 7-in-1 multi-use model (#1) is capable of turning out 8 quarts of food. This extra room is priceless if you plan to sterilize bottles or take up canning. Because Instapot has made a big splash on the appliance market, the 10-in-one Ultra (#5) could dazzle you with its space age technology. On the other hand, spent around $10 more and get an Instapot on steroids: The appliance with the capacity to replace “a million” different cooking vessels and offering you that Bluetooth enhancement (#3). If you wouldn’t think about buying an appliance without reading every Instapot review ever written, have at it. On the other hand, if you hit a saturation point after reading a few, give yourself a break. Friends don’t let friends buy lousy electric cooking pots, so don’t be shy about asking for recommendations. Do you really need a million functions or will six do you nicely? Overestimating your need for Instapot functions could drop you in the Land of Confusion: it’s a lot easier to learn 6 functions than it is to master a million. That stated, if you’re all about function, #3 should be on your short list. You don’t have to use software to lay out an Instapot comparison chart. Paper and pen will do. Award points to each of the five Instapot models in this review based on their value to you and then use that hierarchy to determine your choice. On the other hand, it never hurts to run your short list by the cooks you trust most. That includes mom. Having gone through the many bonuses, blessings and advantages that each of these Instapots offer, even technology can’t assure you of perfection. Plenty of shoppers have bought these units with the best of intentions, only to find that they break, malfunction or otherwise disappoint. Don’t doubt yourself. Save the receipt and if you have problems, don’t hesitate to return your Instapot or exchange it for a different model. I just bought my Instant pot and I’m in love with it. I’ve used crockpot in the past and I am still a fan of it. This instant pot was recommended to me by my niece. I am using the one that comes with Bluetooth, so I can connect it with my phone and control it while I am sitting on the couch. I think it’s better than my old crockpot in many ways. It’s because the food is cooked more nicely in Instapot. I highly recommend it! My husband gifted me Instant pot smart on my birthday this year. I LOVE the way how I can programme it and set different instructions on it. All I need to do is to find my favourite recipe on the internet or from IP recipe cookbook and instruct your instapot to work that way from the phone. The real benefit comes in winter when you don’t want to leave the warm bed. We’re glad you liked it! Thanks for the feedback. I just purchased my first Instant Pot and I am in love with it. My first item I cooked was a rack of baby back ribs. They turn out great and the cooking part only took 24 minutes to make tender fall off the bone ribs . Cooking hard “boiled” eggs was so simple and peeling was very easy. I plan on using my Instant Pot Ultra quite often. Thanks for such a great product. 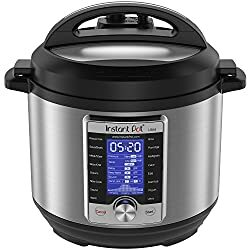 I bought Instant Pot Ultra in 8 Qt. size. I’m using it quite often to cook baby back ribs. So far, I’m very happy with this product. Very please with my purchase IP DUO. I ordered last night and it came in the morning. The first recipe I tried was the Black beans recipe. I just turned on the settings for the beans and went away. When I came back after 2 hours, the beans were still warm due to the warm function and never got overcooked. It was delicious and I love the way how the function of my instant pot work. I gave it 10/10 compared to other crockpots. The Instant Pot ultra is one of my best purchases of all time. I’m a student and live in hostel. I need to cook food but I don’t really like it doing the conventional way. My parents convinced me to buy an instant pot as we already have one at home. So far, I have cooked BBQ, beef stew and cheese cake with it. I am also going to try out more instant pot recipes. The flavors are just wonderful. Thanks for the feedback. 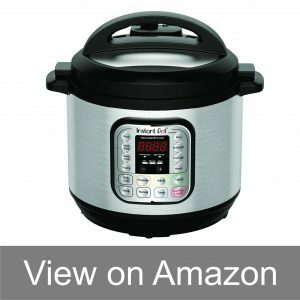 May I know which Instant Pot size and model you are using? I’m using ip-duo80 7-in-1 8 Qt size. It’s a little bigger than my requirement but I love it. Really liked your review too! I got my Instant Pot Duo 80 (7-in-1) couple of months ago. So far, it’s been working great. I also ordered more IP accessories from Amazon to improve its functions & taking it to the next level. So far, the results are impressive. It helped me replace 2 of my old kitchen cookers, the slow cooker and the one I used to cook rice with. It does its job very nicely. My favorite dishes are noodle soup, chicken and rice, wings, beans and egg custard. I am also trying yogurt and hard boiled eggs with it. If you are someone who’s passionate about cooking, I highly recommend trying out the new Instant pot.